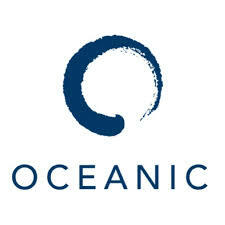 World Ocean Festival is dedicated to advocating for action on a global scale for the implementation of United Nations Sustainable Development Goal 14, which aims to promote conservation and sustainable use of the world's oceans. Millions of people and organizations care deeply about the oceans and will stand together for their protection. These are the voices that will be raised at World Ocean Festival 2017. The ocean sustains marine life and our own–connecting us all across the world, providing sustenance, transport, economies, livelihoods. Meanwhile, Illegal fishing threatens species, sustenance, and economies worldwide; pollution in the form of chemical run-off, spills, plastics and more damages and destroys marine life and enters our food chain, and climate change is killing our coral reefs, flooding human and animal habitats and feeding a disastrous feedback loop of rising world temperatures. This June, 5-9 2017 world leaders will gather in New York City at The Ocean Conference to focus on how to #SaveOurOcean. We must show world leaders that we care!